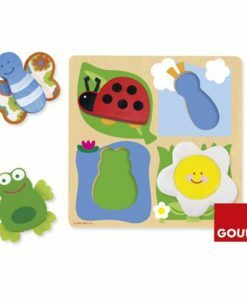 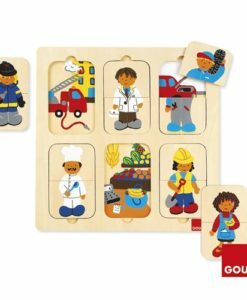 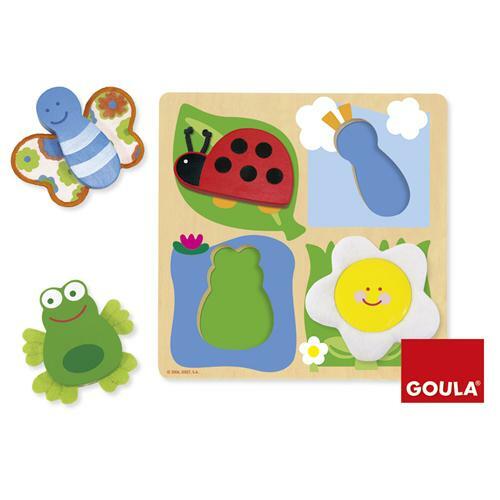 This high quality Goula Countryside Fabric Puzzle is sure to provide hours of fun. 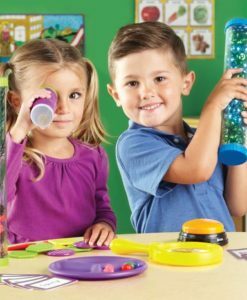 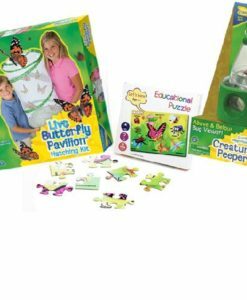 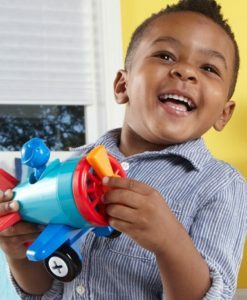 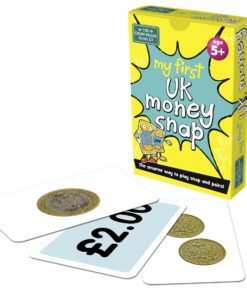 As well as developing a child’s understanding of the world, it will develop problem solving and shape recognition skills also. 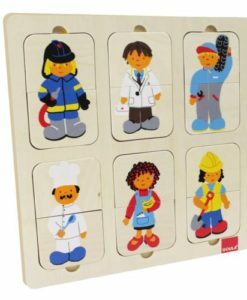 The beautifully crafted wood includes fabric textured backgrounds to match the pieces that belong in the slots. 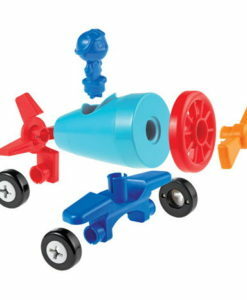 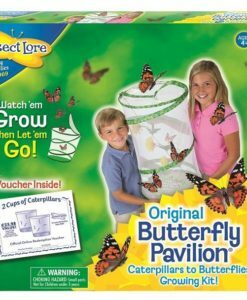 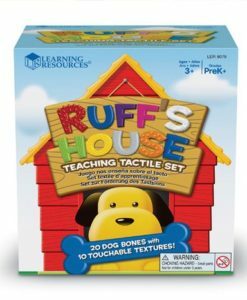 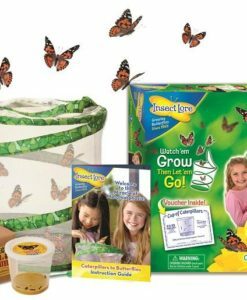 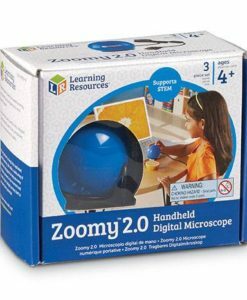 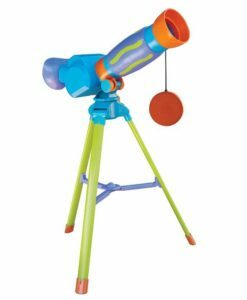 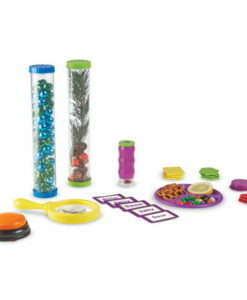 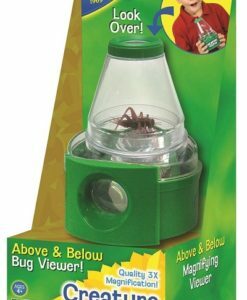 This product also develops hand-eye coordination and sensory perception. 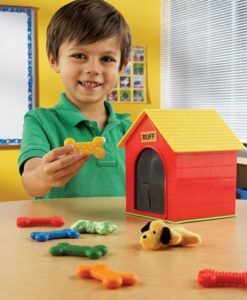 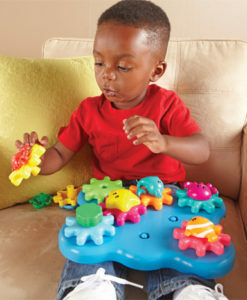 The wooden shaped pieces are the perfect size for little hands to hold. 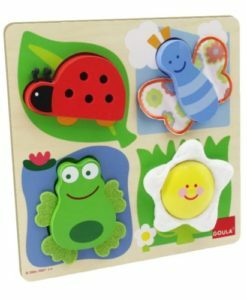 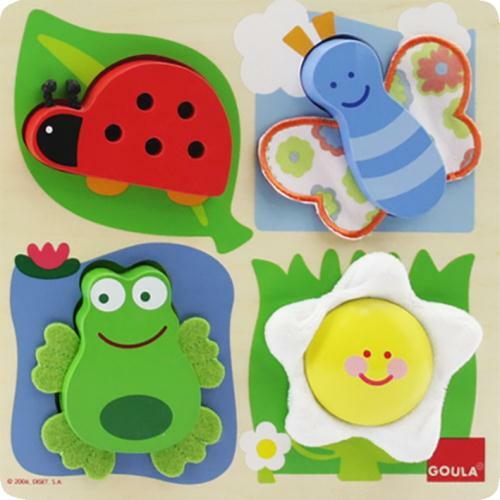 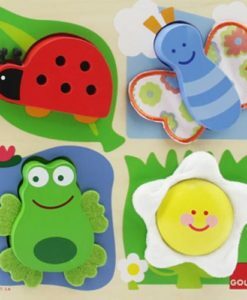 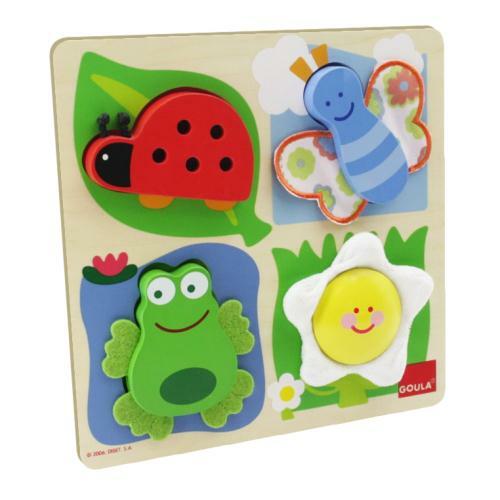 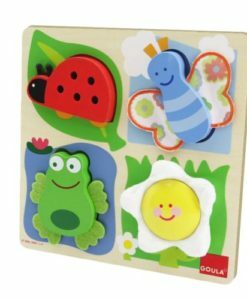 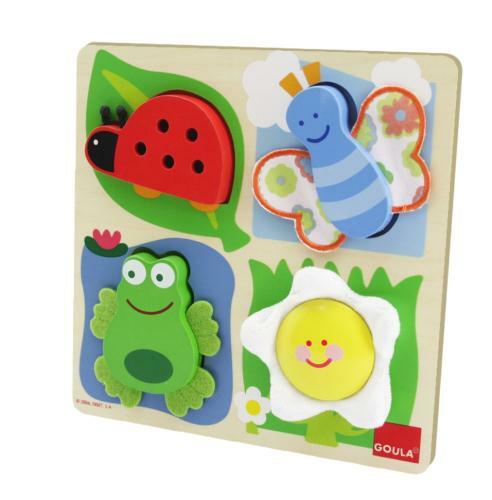 The bright and colourful images include a ladybird, frog, butterfly and a flower.